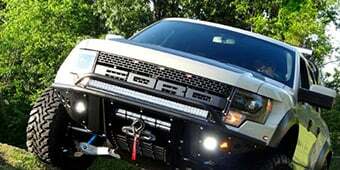 F-150 Intake Make More Power Through Better Breathing! What's Wrong with My Stock Intake System? 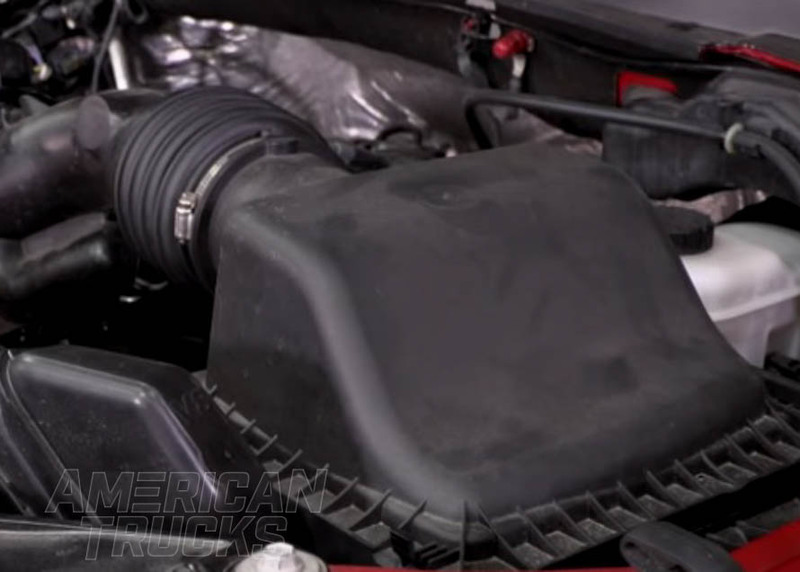 How Does an F-150 Cold Air Intake System Work? Will I Need to Tune My F-150 with a New Intake? What About Oiled vs. Non-Oiled F-150 Intake Filters? How Do I Select the Right Intake for My F-150? 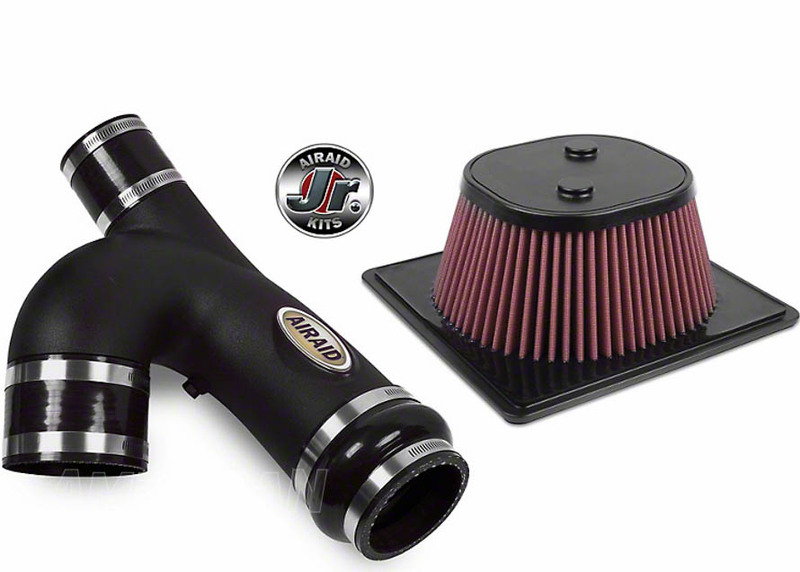 A cold air intake helps your engine be more efficient, netting you more power and sometimes better fuel economy. Cold air intakes are a simple add-on for the beginning modder. An easy upgrade for any F-150 owner is to replace the factory air box/intake with an aftermarket one that will flow more air. 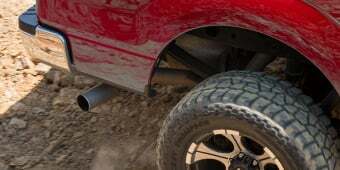 This guide will go over everything you need to know about F-150 air intakes. 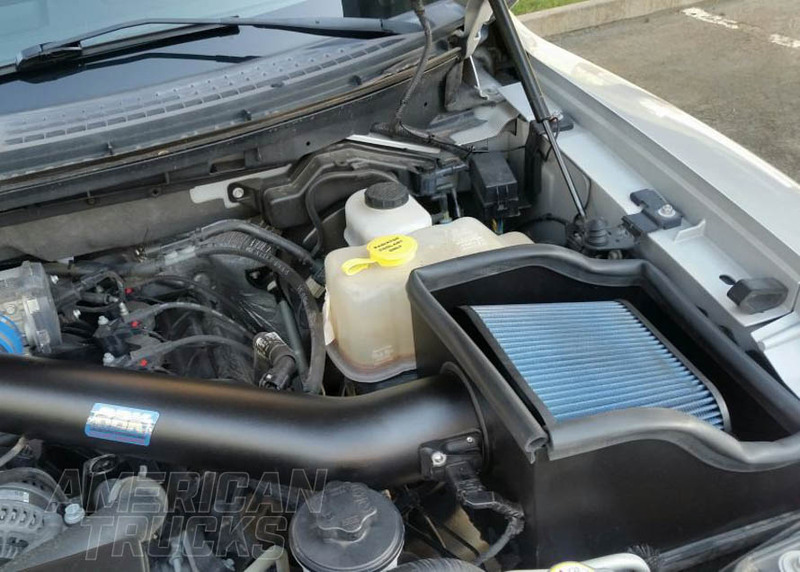 If you are in search of a reasonably priced and fairly simple way to get some added power for your Ford F-150, consider a cold air intake system. These systems are also quick and very easy to install. The way it works is easy to understand; by letting more air into your F-150’s engine, more horsepower is produced. Your factory intake system works pretty well, but it is not optimized for maximum power output. The Ford engineers have many demands and requirements to balance when designing a vehicle like the F-150. They must meet safety requirements, fuel economy standards, and weight targets. And then there are the cost targets to be met. To be able to sell a vehicle at a competitive price and still make a profit, Ford can only spend so much on any given part of the vehicle. In this relentless pursuit of the lowest cost components, compromises are made. As a result, optimal performance is often sacrificed for a cost reducing design. A nickel or a dime savings per part, when multiplied by millions of parts, adds up to real money! So your stock intake works fine, but it can be easily upgraded to produce a lot more performance for you. 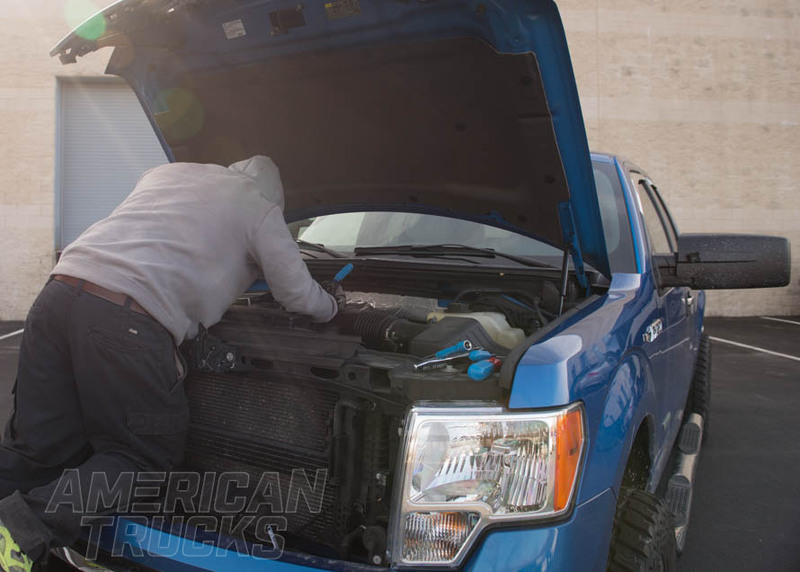 An aftermarket cold air intake system improves your F-150’s airflow in several key ways. It routes the air more directly into your engine, usually through a shorter, wider, and straighter pipe. 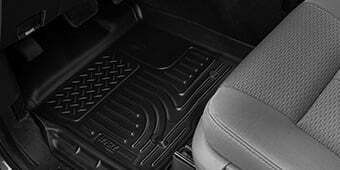 The aftermarket system also improves the airflow by adding a high-flow, high efficiency air filter in place of the more restrictive factory air filter. Finally, the cold air intake system is set up to allow cooler air to easily flow into your engine. 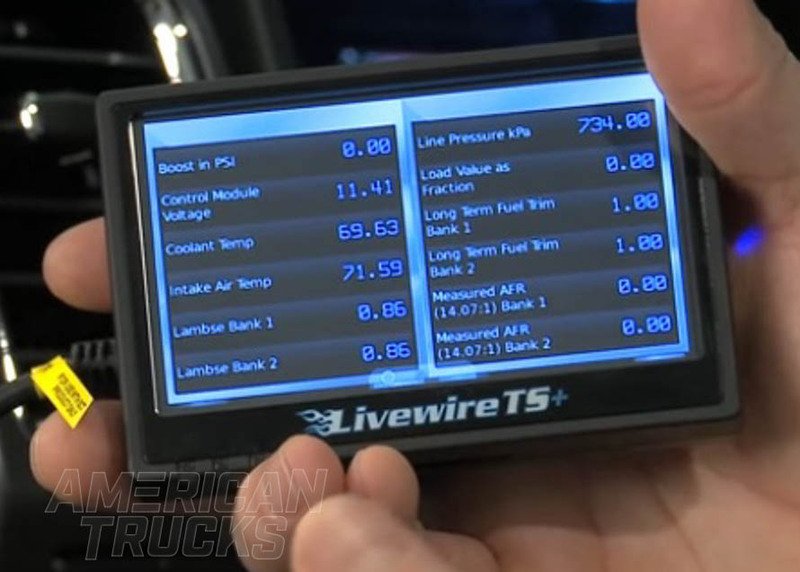 In today’s high tech, fully computer controlled engines, the software constantly monitors and maintains the ideal air-fuel ratio incredibly accurately as you are driving. 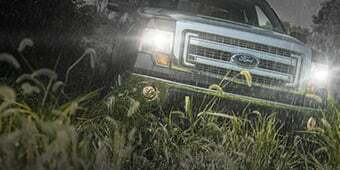 The engine's computer is programmed to give the average F-150 driver a generally acceptable combination of drivability, power, and low emissions. But what if you’re not the average driver and you want more performance? Cold air intake systems use the engine’s computer system to give you more power by “persuading” it to add more fuel to match the extra airflow now passing through on its way into the cylinders. The computer is programmed to maintain a specific air-fuel ratio. More air means more fuel, and that equals more power! Due to where your F-150’s stock air intake is located under the hood, your engine breathes air that has been warmed by the engine’s heat. Warm air is less dense and has a lower oxygen content. 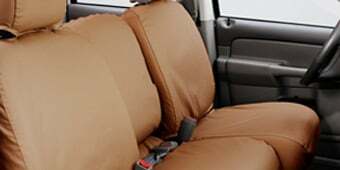 Another source of warm intake air is your truck’s radiator fans. When your engine gets warm and the fans kick on, additional warm air is pulled through the radiator into the engine compartment. This further increases the temperature of your intake air. Cold air intakes have been designed to bring in cooler air that is not heated by your engine. They do this by separating the air intake area from the heat producing components located under the hood. A box type structure or partition around the intake provides a path for the cool outside air to flow directly in. Cold air is denser and contains more oxygen than warm air. More oxygen means more complete combustion and more power. That’s another benefit of cold air intake systems. 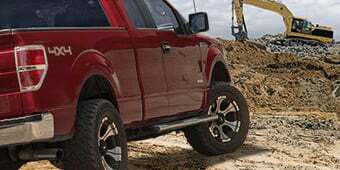 Some cold air intake system manufacturers recommend a retune after their products are installed on your F-150 and others do not. 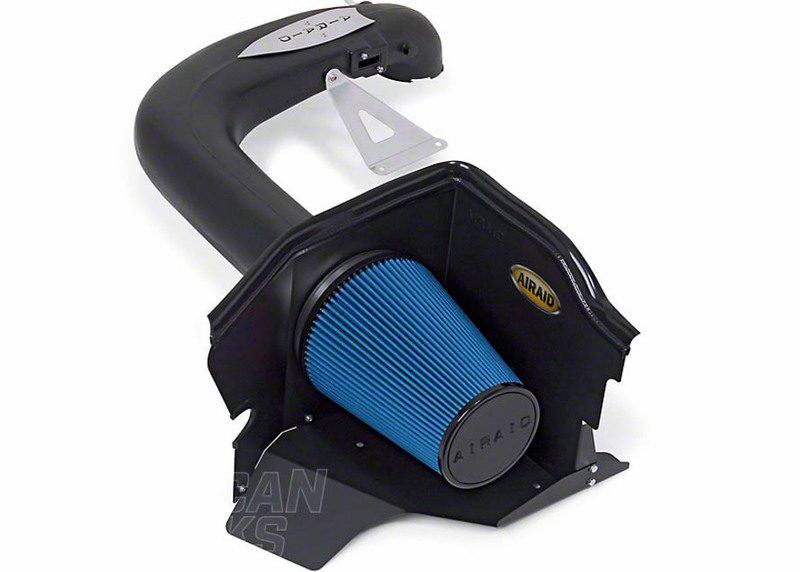 As you browse the cold air intake systems in our catalog, check the product descriptions. Each item will list whether it is ready to go out of the box, or if a retune is recommended. In some cases, the manufacturer does not require a retune, but American Muscle will recommend one. This is because we have found, during our testing and use of the product, it will make a positive difference in performance. 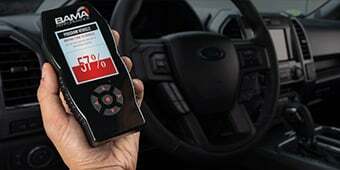 The use of a F-150 Handheld Tuner, which we also stock, will help you with the retune. You can find these in the American Muscle online catalog. Please contact us if you have any questions about this. As you look through our many cold air intake systems, you will notice some have oiled filters and some have non-oiled filters. Which is right for you? Oiled filters are reusable. You will need to clean and re-oil them at regular intervals. If you do this properly, you will get long life out of an oiled filter. Non-oiled filters are disposable. You simply replace the filter with a new one when it’s time for a change. 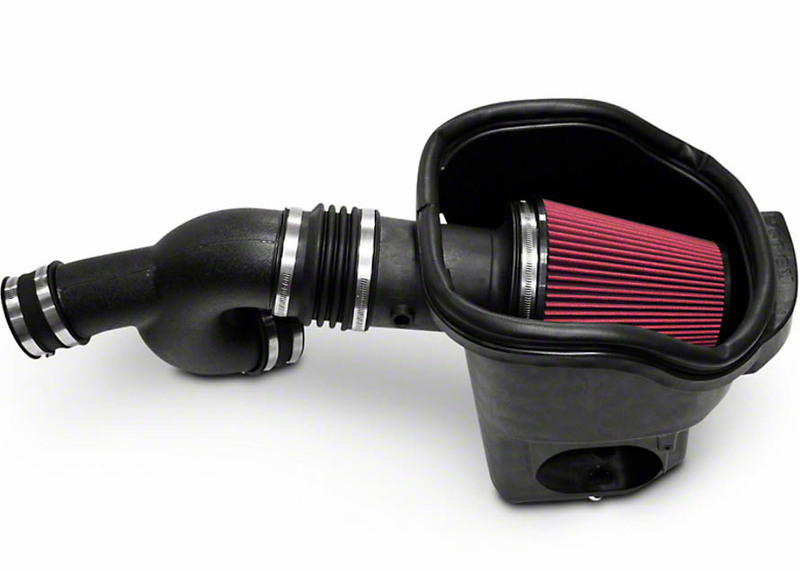 As you shop for your F-150 cold air intake system, check the product descriptions for the type of filter used in each. If you are willing to do what is necessary to maintain your air filter on an ongoing basis, then go with the oiled type. If you’re a just-pop-a-new-one-in type of person, then choose the non-oiled. 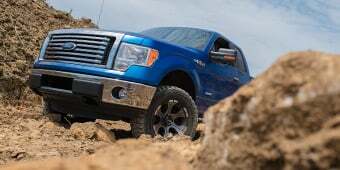 Which F-150 Engine Do You Have? 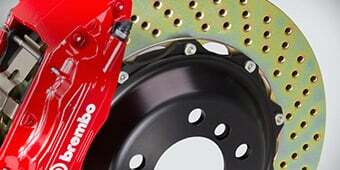 – Be sure to select an intake system that is made specifically for the engine in your F-150. American Muscle has intake systems for just about every F-150 from 1997 up through the present year. Cost – You will find a wide range of prices on these intake systems, so let your budget be your guide here. Type Of Filter – As we discussed in the above section, pick the type of filter you are comfortable living with, either oiled or non-oiled. Do You Live In California? 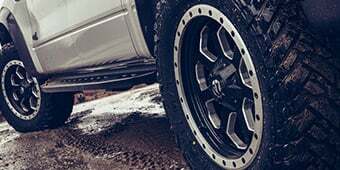 – If you are a resident of the Golden State, you will need an intake system that is CARB certified if you plan to pass your smog inspection and drive your F-150 on the street. Check the product descriptions on each system to find the ones that are legal for street use in California.